The Olympics may turn out to be the bane of Warner Bros. and The Dark Knight Rises. 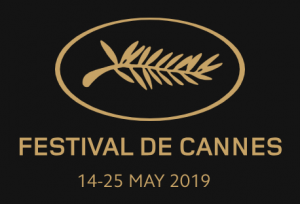 The film wound up earning $2 million less on Sunday than the studio’s estimate as NBC broke ratings records for second-day coverage of the competition. The weekend total for the movie: $62.1 million, down 61 percent from the previous week. The Olympics did not similarly affect Ice Age: Continental Drift, as families showed up in droves for the third week of the film. It dropped just 35 percent to $13.4 million, to place second. But two newcomers, 20th Century Fox’s The Watch and Lionsgate’s Step Up: Revolution came in below forecasts with $12.8 million and $11.7 million respectively. Rounding out the top five was the fifth week of Ted with $7.4 million. With a current gross of $192.6 million, it’s now within striking distance of the $200-million mark. Overall, the box office was down 26 percent from the comparable weekend a year ago when Universal’s Cowboys & Aliens and Sony’s the Smurfs opened in a virtual dead heat with $36.4 million and $35.6 million respectively. 1. 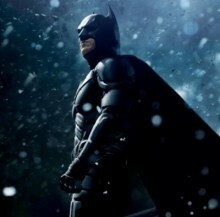 The Dark Knight Rises, Warner Bros., $62,101,451, 2 Wks. ($287,112,810); 2. Ice Age: Continental Drift, 20th Century Fox, $13,352,646, 3 Wks. ($114,899,860); 3. The Watch, 20th Century Fox, $12,750,297, (New); 4. Step Up: Revolution, Lionsgate, $11,731,708, (New); 5. Ted, Universal, $7,353,150, 5 Wks. ($193,618,750); 6. The Amazing Spider Man, Sony, $6,701,111, 4 Wks. ($241,953,721); 7. Brave, Disney, $4,305,153, 6 Wks. ($217,329,672); 8. Magic Mike, Warner Bros., $2,619,128, 5 Wks. ($107,625,983); 9. Savages, Universal, $1,838,215, 4 Wks. ($43,983,785); 10. Moonrise Kingdom, Focus Features, $1,434,904, 10 Wks. ($38,641,403).